The election of Donald Trump and Republican majorities in both houses have terrified environmentalists and climate campaigners, who have declared that the next four years will be a “disaster.” Fear is understandable. We have much to learn about the new administration’s plans. But perhaps surprisingly, what little we know offers some cause for hope. It should not need to be restated in 2016 that climate change is real and mostly man-made. It is hard to know whether Trump will acknowledge this. He has called global warming a “hoax” perpetrated by the Chinese, but stated that this was a joke; he denied the existence of climate change during the campaign, but supported global warming action as recently as 2009. What really matters is not rhetoric but policy. So far, we know that President Trump will drop the Paris climate change treaty. This is far from the world-ending event that some suggest and offers an opportunity for a smarter approach. After eight years of travelling, as a left winged filmmaker/journalist through conflict and poverty zones, Marijn Poels decides to have a time off. In the Austrian mountains. It brings him unexpectedly to the roots of agriculture and its perspective in modern times. Globalization and climate politics are causing the radical changes from farmers to energy supplier. But the green ideology raise questions. … the scientific topic about climate change has now become incontrovertible world politics. Poels is facing a personal conflict. Are we doing the right thing? 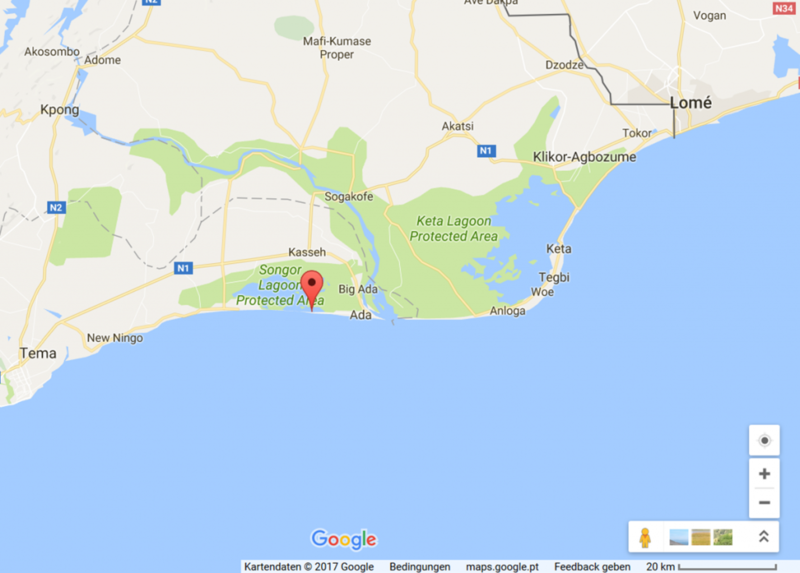 Was Klimaforscher voraussagen, ist in Ghana schon eingetroffen: Das Fischerdorf ist zum Teil bereits im Meer versunken. Der steigende Meeresspiegel und immer stärkere Flutwellen fressen sich an der Küste Westafrikas immer weiter ins Land und bedrohen die Fischerdörfer. Die Folgen des Klimawandels, der Bau von Tiefseehäfen und Staudämmen haben die Erosion der Küste in den vergangen 20 Jahren beschleunigt. Das Fischerdorf Toto in Ghana ist bereits zum Teil im Meer versunken. Ein ziemlich billiges Propaganda-Theater, denn schon ein kritischer Blick auf die mitgelieferte Landkarte macht klar, dass diese Siedlung im Volta-Delta auf einer typischen Sand-Nehrungsinsel liegt, welche sich aufgrund von Sanddünen-Wanderungen und Meeres-Erosion auch ohne Meeresspiegel-Anstieg ständig auf natürliche Weise verändern. Die Sediment-Transport-Prozesse in der Region wurden bereits 1998 von Nairn et al. ausführlich beschrieben (pdf hier). Damals wurden Küstenschutzmaßnahmen vorgeschlagen, die aber offenbar nicht umgesetzt wurden. Hier kommt wohl noch dazu, dass der riesige Volta-Stausees das gesamte flache Volta-Delta etwas nach unten drückt und zudem verhindert dessen Akosombo-Staudamm, dass das Geschiebe des Voltas sein altes Delta-Gebiet erreicht, wodurch die Meeres-Erosion nicht mehr kompensiert werden kann. Somit kann man leicht zeigen, dass die im geschilderte Situation in Totope/Ghana herzlich wenig mit Klimaerwärmung und steigenden Meeresspiegel zu tun hat, dafür aber umso mehr mit veränderter Landnutzung und natürlichen Küsten-Erosionsvorgängen. The main threats to the site exist as varied forms of excessive utilization. Some common cases are over-fishing, extreme harvesting of mangroves, extensive drainage and cultivation for farmland, heavy grazing by cattle and livestock, and an unsustainable level of salt winning. These threats are difficult to neutralize because the human communities surrounding the lagoon are largely poor and over-populated. In effect, the local people are dependent upon their harvesting of the lagoon for survival. Although ecotourism provides an ecologically friendly source of income, the practice is not extensive enough to sustain the local communities. Additional threats originate from the use of pesticides and herbicides, the damming of creeks and channels for the purpose of expanding infrastructure, and rubbish dumping. These threats can and, in some instances, have had dire consequences. The breeding cycles of nesting species, like the several sea turtle species hosted by the lagoon, can be disturbed by exaggerated human activity. Furthermore, the eggs of such species are often trampled by grazing cattle and livestock. Another realized effect of human exploitation is the apparent shrinking of the lagoon, which can be easily observed in the satellite photo comparison shown at the opening of this article. Further disturbance of the lagoon could result in not only the loss of species that inhabit the site, but also the loss of nutritive and moderating benefits provided by the site. Aside from purifying ground water, acting as a reservoir for nutrients, and supporting the local food chain, the lagoon regulates water flow, staggers and lessens the effects of flooding, and disperses the extreme erosive forces exerted on the shore by the Atlantic Ocean.